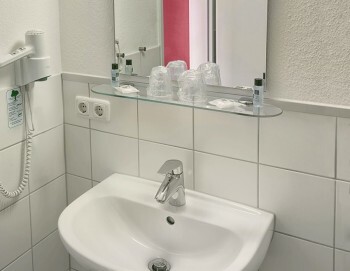 All single rooms are equipped with a bed and an own bathroom with hair-dryer, shower and toilette. 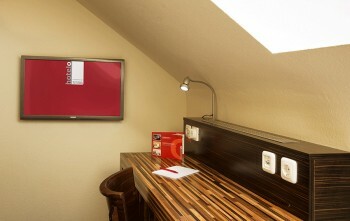 In every room you find also a desk, a flat screen as well as complimentary Wi-Fi access. The pitched roof area creates a special atmosphere. These rooms offer extra comfort and are especially suited for longer stays. 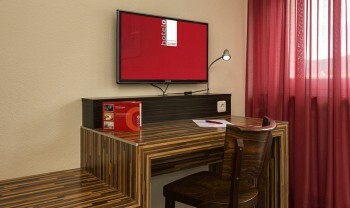 A king-sized bed and a desk offer the right atmosphere for a joyful visit in Heidelberg. 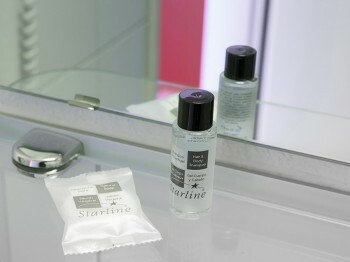 Naturally an own bathroom (shower, toilette and hair-dryer), a flat screen and complimentary Wi-Fi access are available. 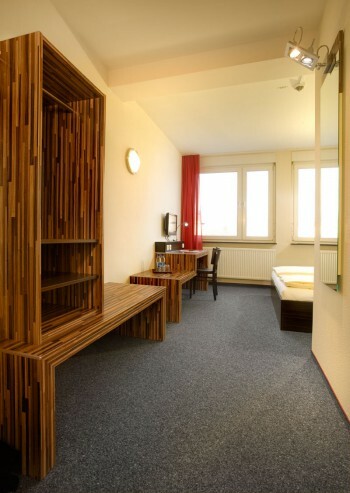 The double rooms offer enough space and comfort for two people. 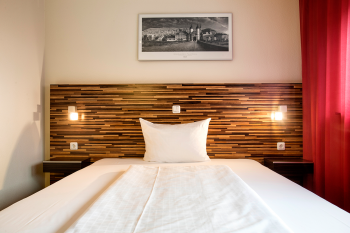 The rooms are equipped with a king-sized bed and modern furniture. Adding an additional bed is not possible. A comfortable bathroom with hair-dryer, shower and toilette, a flat screen, and complimentary Wi-Fi access complete the room.